Despite the deaths, in 'Bimini Twist,' Linda Greenlaw's latest, the fictional fishing village of Green Haven springs to life. Somehow I missed Jane Bunker, a feisty young-ish deputy sheriff, when she first hit Down East Maine, courtesy of Linda Greenlaw. That was in 2007. In “Bimini Twist,” three mystery sagas later, Jane is still finding her way around the ins and outs, and dos and don’ts of life in Green Haven, a fictional coastal community located somewhere between Ellsworth and Rockland. Less than a year has passed, but Jane has already made a name for herself, putting the local druggies out of business. Too much of a name, in fact, as far as the town fathers of Green Haven are concerned. 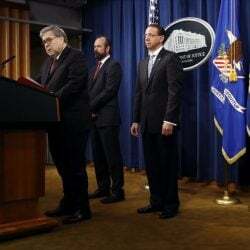 With the summer solstice coming up and the tourist season about to begin, all that publicity is tarnishing the image of their little bit of Vacationland. The Hancock County sheriff, Jane’s boss, tells her to cool it for the season. 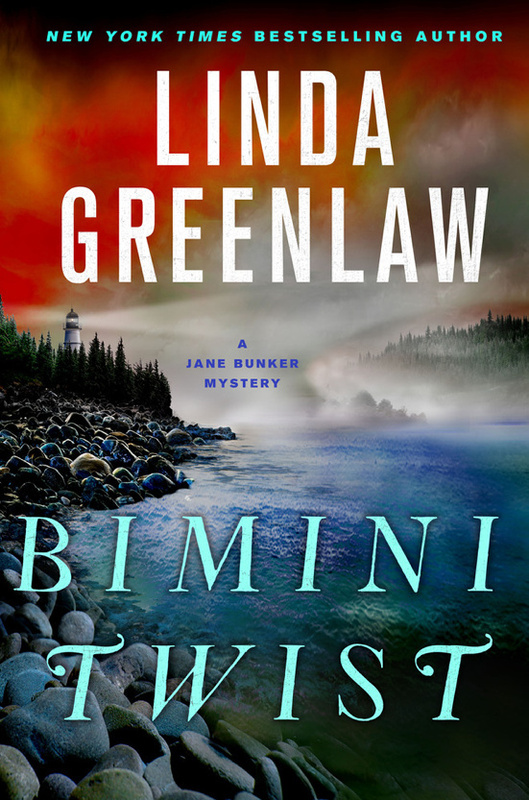 “Bimini Twist: A Jane Bunker Mystery.” By Linda Greenlaw. Minotaur Books. June 2018. Hardcover. 304 pages. $25.99. Seething with resentment, Jane is sent off to look into the case of a foreign student missing from her menial job at a Bar Harbor hotel. When a handsome cadet trainee vanishes from the same cruise ship toward which the young woman was last seen headed, it’s all too obvious to Jane that she is just wasting her time on the Case of the Summer Fling. It takes a surprising number of dead bodies to show up before she is convinced otherwise, and by that time she is in too deep to get out in one piece. 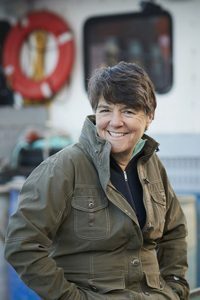 It’s not news that Linda Greenlaw has an amazing range of talents: superlative sword-fishing boat captain and hero of “the perfect storm,” best-selling chronicler of Down East Maine on sea and on land, memoirist (about her adopted daughter), writer of cookbooks. And then there’s Jane Bunker. Each of Bunker’s four mysteries bears the title of a nautical knot, in the way that John D. MacDonald’s always included a color, and Sue Grafton’s a letter of the alphabet. However, in “Bimini Twist,” the connection with that Bahamian island is distinctly at second hand. The book’s action is rooted on the Maine coast, as firmly as a clump of kelp. It’s a great read. Needless to say, Greenlaw depicts the life of a Maine fishing village with the authority – and the sympathetic eye – of a native. When she describes a harbor, the reader smells it; if it’s a boat-ride, one feels it. There are some perfect character sketches: Audrey, the sassy manageress of the Harbor Café; Deloris, Jane’s side-kick at the sheriff’s office who wants to be her partner on the street; her kind but inquisitive elderly landlords, the Vickersons. The baddies are neatly drawn, too, although they tend not to last very long on the page. The story has enough “twists” and turns to keep the author one step ahead of her readers. There is one cliff-hanger that cannot be revealed without a spoiler alert. Let’s just say it is convincing enough that I almost expected what would be a first in the conventional plot of a mystery. One day, perhaps. “Bimini Twist” is told from Jane Bunker’s point-of-view, resolutely in the first person singular. Every now and then, I felt surfeited by “I”s in a straight sequence of sentences. Similarly, clichés like “piping hot” and “heaping” helpings give the narrative an ersatz feel it doesn’t deserve. At other times, however, Greenlaw displays a knack for pinching worn terms into life. After the demise of one lobster boat, “Pete preferred tight lips regarding sinking ships.” Elsewhere, someone had “a past carried in assorted baggage.” She can also be creatively descriptive, as with the “wiry chest hair that escaped from the neck of Larry’s tee shirt like the frayed root system of weeds from under a rock.” By this time, it’s a corpse, of course. Regardless of these quibbles, “Bimini Twist” is a must for the beach while a few weeks of summer still remain. I’ll be using the same time to delve into Jane’s backstory. Jane Bunker is not the only redoubtable sleuth, policeman, private eye or game warden, pursuing their craft along Maine’s coast or in its forest. Twenty years ago, some of Florida’s top writers – headlined by Carl Hiaasen, Elmore Leonard and Dave Barry – put together “Naked Came the Manatee,” each one writing a chapter of an outrageous (even for those authors) yarn. I’d love to see Jane Bunker join forces with some of her Down East partners-in-crime-solving. “Naked Came the Moose,” anyone? Looking at you, Mike Bowditch (Paul Doiron), Thea Kozak (Kate Flora), Jack McMorrow (Gerry Boyle), to name but a few.